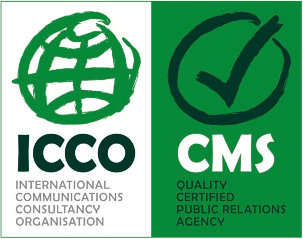 Since March 2014 Life Science Communication is an holder of the international certificate Consultancy Managemement Standard (CMS III) for quality management in the Public Relations. We are pleased that the daily commitment of our employees will be recognized for high-quality work by officials. CMS III is a hallmark of communication agencies, which is awarded by the International Communications Consultancy Organisation (ICCO). The certification attests to the Agency that its services, internal processes and project management are handled in accordance with international standards for quality management. Only members of the Federation of PR Agencies in Switzerland BPRA may benefit from CMS III certification.